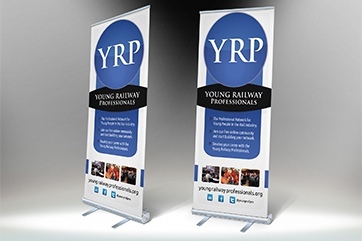 Our roller banner stands offer maximum impact, but at an affordable price. They’re ideal for trade exhibitions, conferences, events, shop windows or even just as a backdrop to your office reception. The benefit of pull-up banner stands is that they’re really lightweight and can conveniently be stored away in their carry bag. Unlike other display systems, roller banner stands are very portable and can be quickly assembled by one person in under a minute. So it’s no surprise that they’re so popular with our customers! 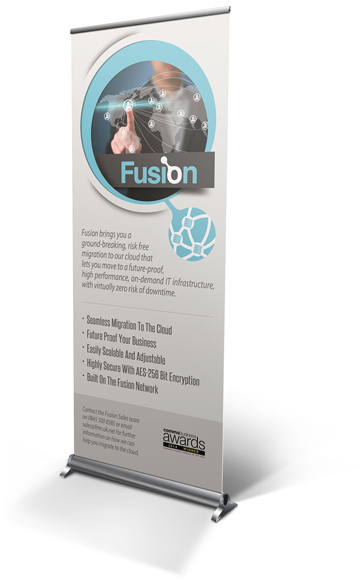 Ordering a banner stand is one thing, but you want to make sure it looks fantastic too, right? 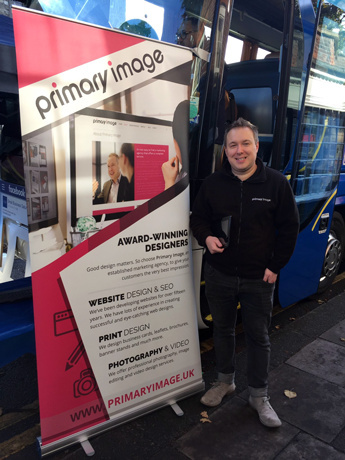 We’ll design you an individually-tailored, stylish banner stand, which looks the part and conveys a professional image of your business or organisation. 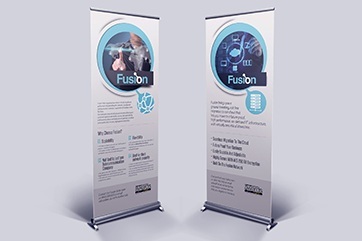 With our design skills, your banner stand will stand out! We can also supply specially designed clip-on spot lights to ensure your pull-up banners are noticed even more. Why choose us for your banner stands? Whatever you want on your banner stand, we’ll customise it to your exact requirements. We’ll give it our expert design touch to ensure it looks fantastic! We’ve got proven experience in creating roller banner stands for large companies, who trust us to come up with eye-catching designs. We’re a small team, based in Essex, and pride ourselves on offering a friendly, personal level of service, and we’ll listen to exactly what you want. 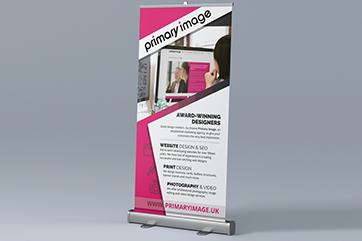 Our roller banner stands come with a brushed aluminium base, with swing out feet. Your graphics are printed onto durable polypropylene material. Each banner comes with a carry case. The banners are 200cm (2 metres) tall and 80cm wide. Larger sizes and other display stands are available on request. After receiving your payment, we normally design your artwork and have the banner stands dispatched within one week, but do let us know if you have a specific deadline to meet and we’ll do our best to accommodate your needs. Prices assume one identical design for all banners. Up to 90 minutes’ of design time is included, which is more than sufficient for most designs. If you need anything especially complicated, feel free to run the idea past us first! Banner stands for an IT company Banner stands for Fusion, in Southend-on-Sea. Thanks so much to Primary Image for producing a roller banner for me. The excellent suggestions you made to my design hugely improved it, and this was all with working to my tight timelines. There was also excellent communication throughout – would happily use the service again and highly recommend it to others! Want your banner stands designed by a professional?